The idea of writero blogger template is adopted from most popular beauty blogs. If you ever visited any popular site that is using these type of themes then you may notice one thing that. They always like to use these type of simple and unique themes. Because most readers like to read a blog that has a simple and clean design. Reading content from a fancy looking blog is very difficult and you can’t be able to grow the number of you readers. If you’re using fancy designs. 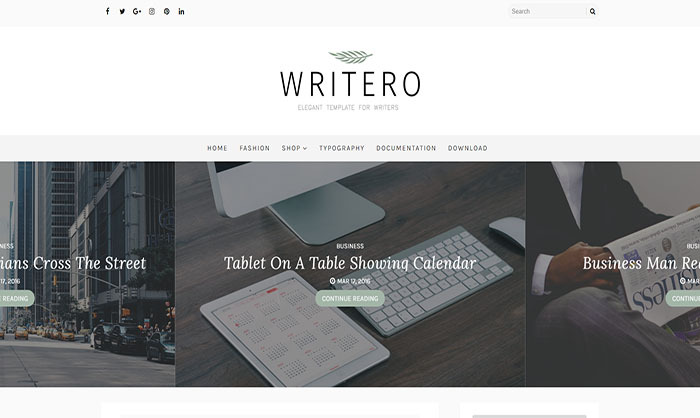 If you take a look at the beautiful design of writero blogger template. You can see that it has a professionally designed slider that you can use to display your most popular posts on homepage and your loyal readers can easily find them. This blogger template is also responsive that means you don’t need to worry about those visitors. Who visits your site from mobile devices. It will not only help you to get more readers but will increase your ranking in search engines.